I am blown away by these bold, vibrant scarves by Louisa Parris. The asymmetrical graphics make the scarf a unique experience every time you wear it. 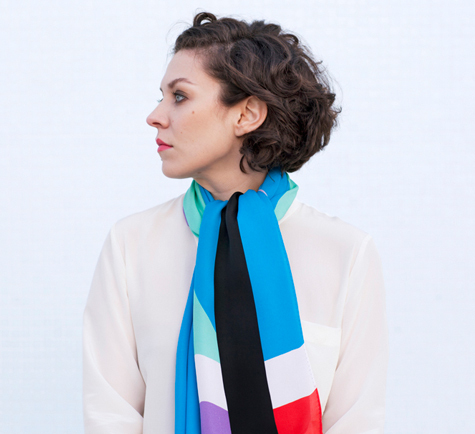 Graphic scarves are becoming a fast trend and I'm amazed at how many impressive designs I am bookmarking lately!